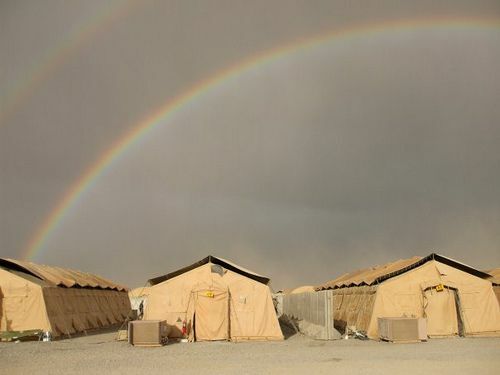 A double rainbow captured over the tents at Kandahar Air Field, Afghanistan. Photo via the US Army by Spc. Michael Bower.